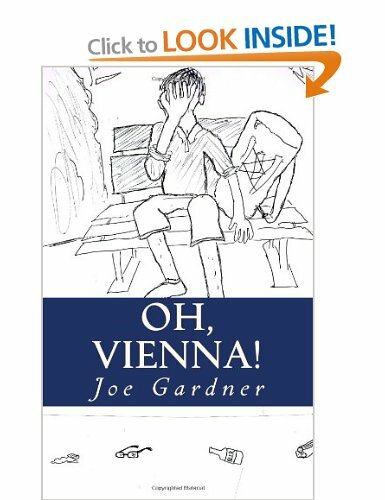 If you prefer your writers to be prolific young go-getters, may I recommend the new book of short stories by Joe Gardner. Not only is it packed with the kind of stories that make you chuckle to yourself on an international flight to the extent your girlfriend tuts at you in disgust, it was also released within months of his first novel The Life and Loves of Jet Tea which I previously reviewed. There’s a lovely overlap of characters and content in Oh, Vienna! as well as the explanation of some outsiders, contemplations on the greatest detective series of all time and new stories altogether. The collection begins with Oh, Vienna! which sees Gardner’s title character from his novel and Hayden head for the Austrian capital to piss off travelling bands, locals and tourists in their quest to get drunk in another city. It culminates in a drunken fight any serious drinker should be envious of and disgusted by simultaneously. For Gillian, in La Rochelle is possibly my favourite story of the collection, and not just because it opens with a lyric by Beirut. It introduces the character of Walter Zane, who was absent from Jet Tea, but is part of the same group of friends. 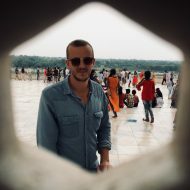 The story follows his chance encounter with a Canadian girl, in London for one night, who refuses to give him any of her personal details so once they pass (like the romantic ships in the night) he is left to wonder what happened to her, and where she got to, and if she ever downloaded his EP as she had promised to. The Regular Customer and The Exploding Detective are Gardner’s extensions of Arthur Conan Doyle’s Sherlock Holmes series. He begins by explaining the characters and the stories are now public property and his affection for the original stories comes across as Holmes and Watson venture into a pub to solve a mystery as quickly as downing a pint, and in a last outting old boy attempt to take down Moriarty. Once you’re into the stories, it’s hard to think of it as fan fiction which I suppose it would fall under the umbrella of. Gardner is a master of matching the temperament of the stories and ensuring his versions fit as a further puzzle piece you didn’t realise was even absent. My Holiday In Depravity displays what Gardner does best, exploring and explaining the drunken mind, the mysterious logic of it all, and the depths we can sink into in our twenties when it all seems like such a laugh. What’s On Your Mind? meanwhile is a satirical and poignant look at the way social networking has become the norm, and filters a lot of the real feeling from the world. It’s like reading a suicide note too late. Coppervid Dafield is Gardner’s abridged autobiography, explaining just what pushed him into the writing he now freely exhibits and the birth of it all. Remembrance feels like a grudge being beautifully exorcised. It touches upon a number of social and political points while maintaining what is becoming Gardner’s signature writing style. I was instantly reminded of Iggy Sutcliff, a character of my own creation I used to perform very much the same task. The collection finishes with From Nightmares, seven short stories intended for reading under the covers with held breath. It’s an incredible thing to be able to compartmentalise a book of short stories in such a fashion, and feels as though one has completely departed from the drunken antics in Embankment and headed somewhere far more sinister. The most compelling I found to be ‘When Can You Start?’ provided as the first chapter of what Gardner intends to be his next novel. It’s stark and clever and recognisable. I won’t say anymore. I don’t want to detract from the first reading. The impressive thing about the collection is it feels solid. It was a matter of months ago Joe Gardner dropped Jet Tea on the world, having spent four years writing and researching his friend’s drinking habits, for the good of the book you understand. As a result of our similar gun it to 88 attitude I feel I have found a kindred spirit in Joe, and I always look forward to reading more of what he has to offer. He’s driven, headed and destined.